Slack offers an online workspace where teams can chat and send messages about projects and updates. Working on a freemium model, Slack entices free users to upgrade to the paid version with well-timed in-app messages. 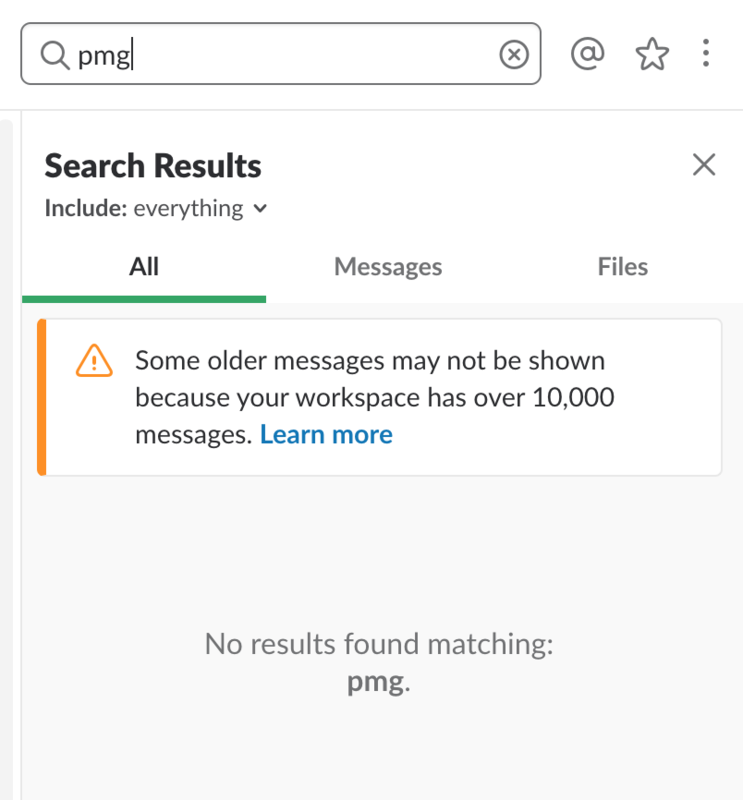 Slack shows users the first upsell message once they reach the searchable 10K message limit. Any user who reaches this point has definitely experienced the product's value. 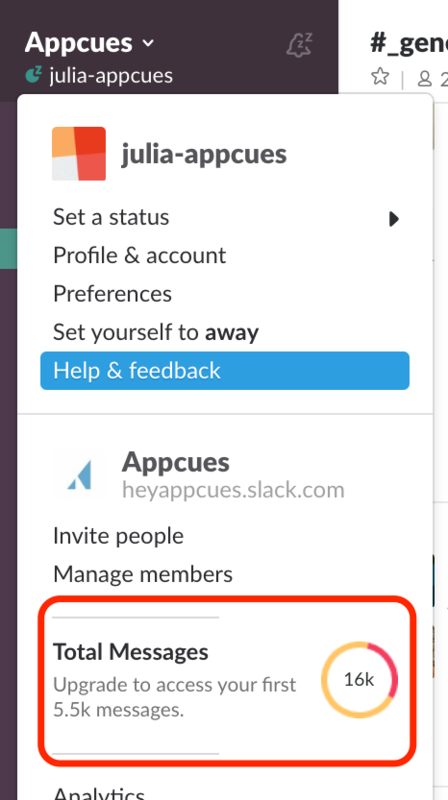 Slack integrates similar upsell prompts throughout the app when users take relevant actions like searching through their history or reviewing a conversation. An upsell message appears also in the user settings with a neat chart that visualizes current usage on the free plan. 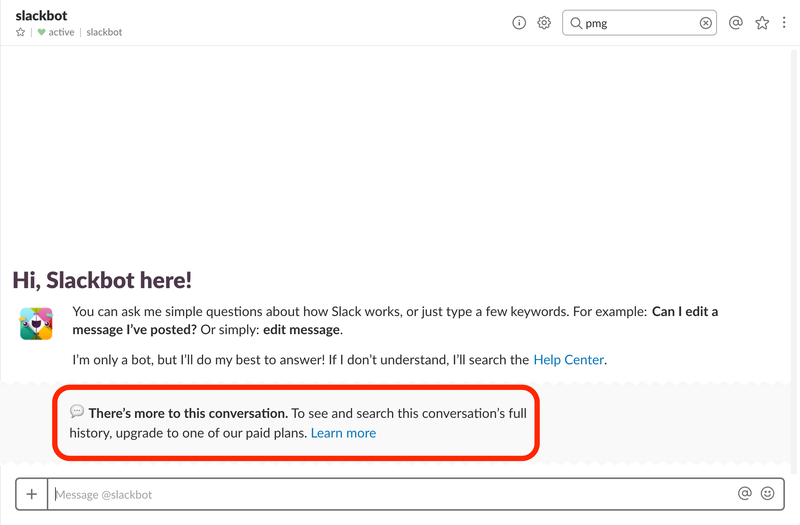 You can read more about Slack's upsell prompts and their effectiveness here.